Here is a list of top tourist attractions in Equatorial Guinea. Only the topmost tourist destinations are presented here. 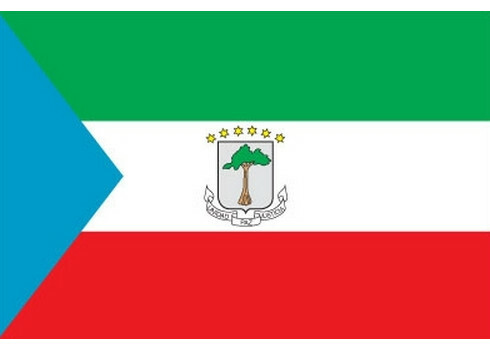 To see other destinations, please check the images from Equatorial Guinea section. Curious if any of these place from Equatorial Guinea made it our best tourist attractions in the world list? Read the aformentioned article in order to find out. You can also view all tourist attractions in Equatorial Guinea and other countries on our tourist attractions map. Pico Basilé is the highest mountain on the island of Bioko, which is part of Equatorial Guinea. With an altitude of 9,878 ft, it is the summit of the largest and highest of three overlapping basaltic shield volcanoes which form the island. From the summit, Mt. Cameroon can be seen to the northeast. Pico Basilé lies close to the city of Malabo. Bioko was formed along the Cameroon line, a major northeast-trending geologic fault that runs from the Atlantic Ocean into Cameroon. This line includes other volcanic islands in the Gulf of Guinea such as Annobón, Príncipe and São Tomé, along with the massive stratovolcano of Mount Cameroon.